This study is focused on the histologic characteristics of occipital bone removed during Chiari I decompression in the hope of discovering unique features that may be related to the pathogenesis of this condition. 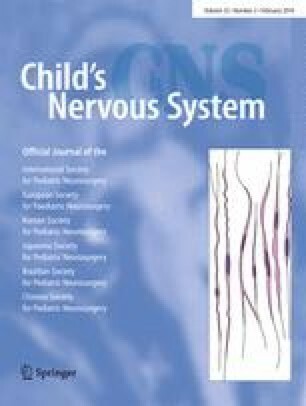 Ten consecutive pediatric patients with Chiari I malformation underwent standard posterior fossa decompression surgery. Bone that was removed from the posterior fossa was sent for histological examination. Bone from age-matched controls also underwent histological analysis. For all study and control specimens, bony samples were found to be made up of dense lamellar bone without marrow elements. In all aspects, histologically, the bone tissue had a normal appearance compared to control samples. Although many authors have mentioned that the occipital bone in patients with Chiari I malformation is abnormal on imaging or at operation (e.g., thinned, thickened), based on our study, there is no histological difference between the occipital bone removed at operation and controls.